MSNBC.com—Rev. 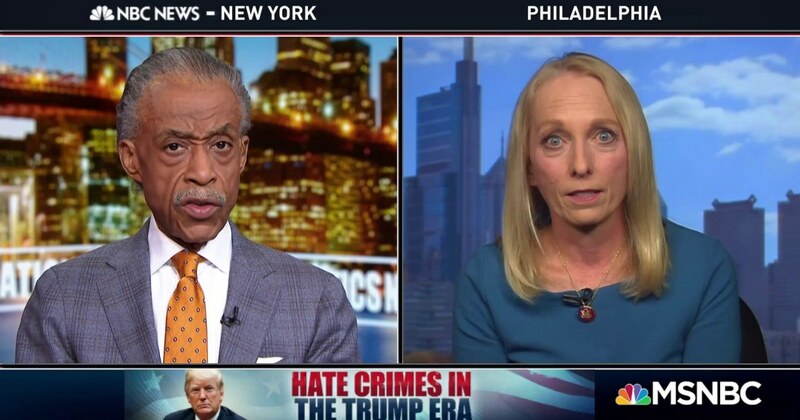 Al Sharpton and Rep. Mary Scanlon discuss the recent rise in hate crimes, and what they think the root cause is, and the power of social media in this entire issue. Rep. Jerrold Nadler (D-NY) used a report in his opening remarks on Tuesday at a House Judiciary Committee hearing on hate crimes and the rise of white nationalism in the Donald Trump era that highlighted crimes that took place from 2008 to 2016 — when Barack Obama was president. Rev. Al Sharpton talks with Frank Figliuzzi and Kristen Clarke about the recent rise of hate crimes towards people of color, and how Trump’s rhetoric has directly influenced it. Hate crime data are incredibly unreliable, and they certainly present more animosity toward minorities than actually exists in America.